After the sell-out success of our Rebel Rebel Italia Summer Flower School, we are launching our latest course and teaming up with Dalston superstar bakers The Dusty Knuckle bakery to add some flour to our flower power. This August, you can spend a delicious week with us all at the glorious 16th-century Tuscan Villa Buonvisi, in the soft rolling countryside outside the medieval walled city of Lucca. 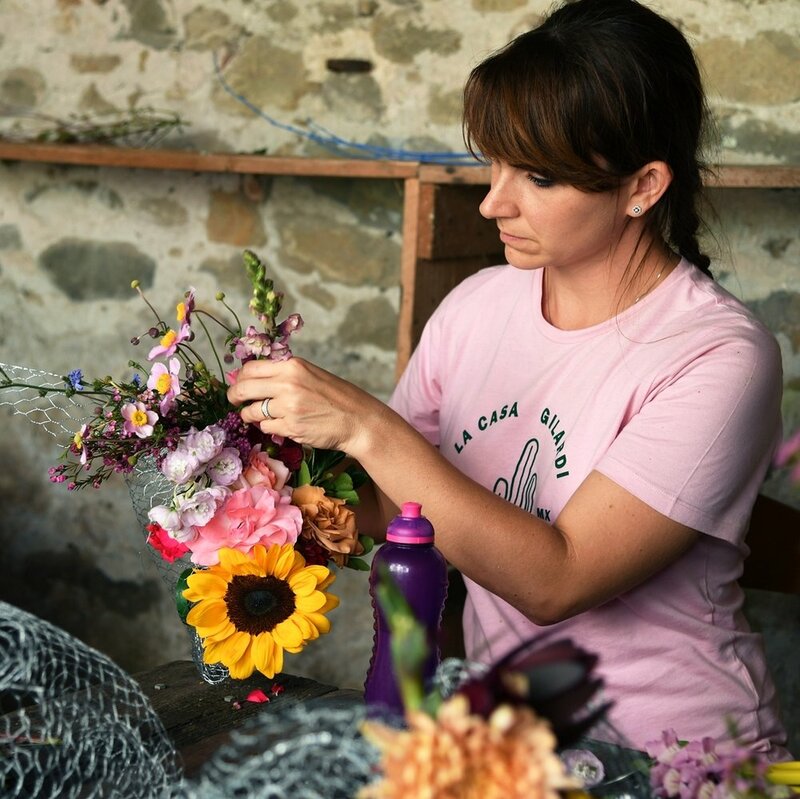 For five full days we will be teaching you practical skills and exploring design ideas in the Rebel style of floristry: the super-sized Bouquet on Legs, extravagant flower crowns, large installations and table settings for the fabulous final feast. 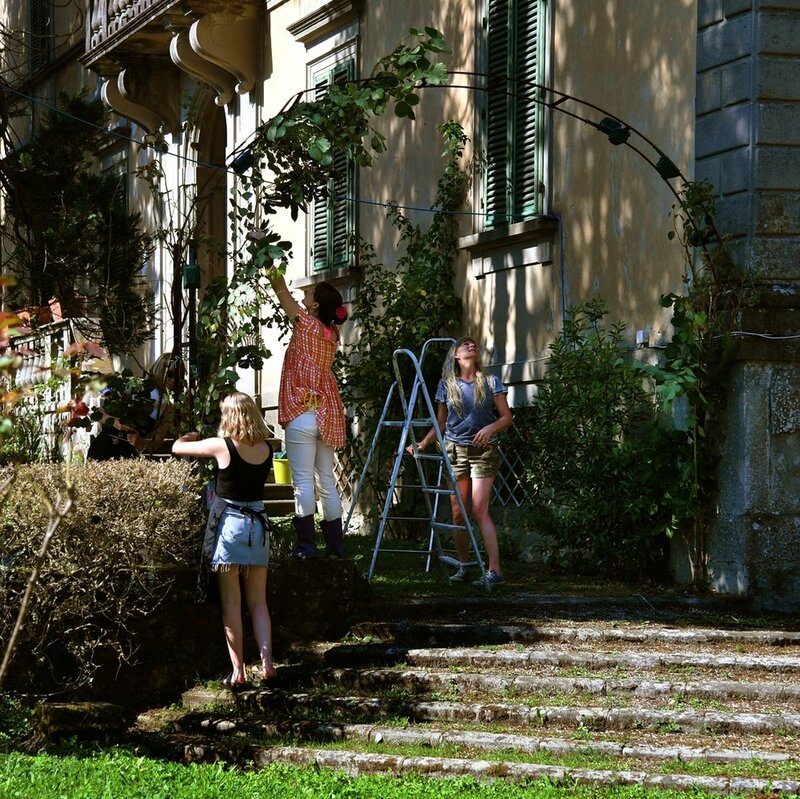 We will take a trip into the mountains near Barga, to Rebel Rebel’s own house and cutting garden to forage in the woods and meet some of the people who help create the Rebel experience in Italy. The Dusty Knuckle will share their expertise with you and hone your skills baking your own bread, pizzas and pastries, using the villa’s wood-fired ovens. They supply some of London’s most renowned chefs with their exceptionally tasty bread and pastries and their expanding café has developed a near-on cult following for its deliciously punchy food and innovative sandwiches. When you aren’t embracing your new skills you will be admiring and enjoying your works of art, eating and drinking with us in and around the villa, its vineyard and olive groves providing the perfect setting; and the beautiful historic centre of Lucca is just a stone’s throw away, so your evenings could be spent strolling through the enchanting narrow streets, exploring the shops, churches, museums, cafes, bars and restaurants that can be found around every corner. 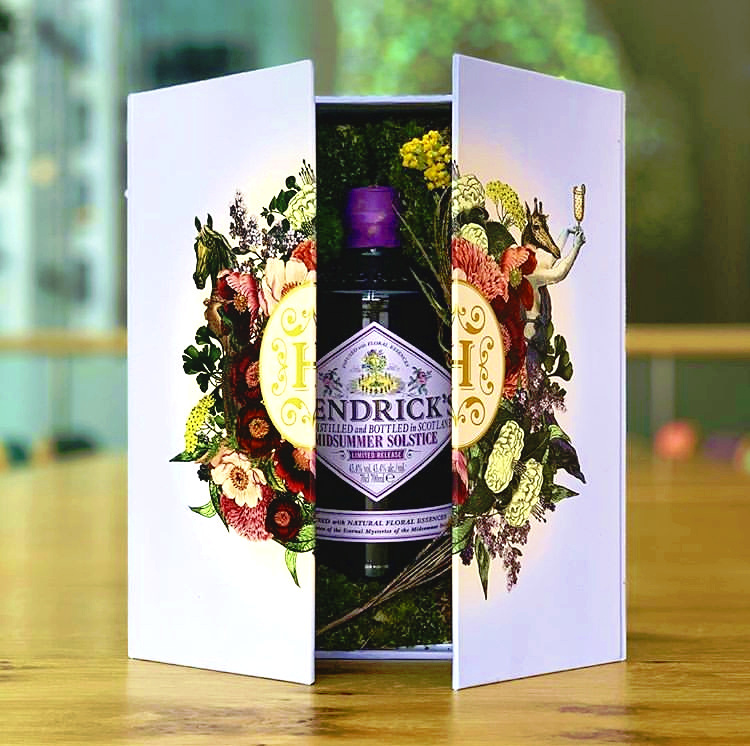 We’ve been working with Designer, Anna Burns since we had our first shop in Broadway Market and Anna was styling photo shoots for the likes of Miles Aldridge; so when she asked us to get involved with her design for the launch of a new limited edition Hendrick’s gin (Midsummer Solstice) we bit her hand off! 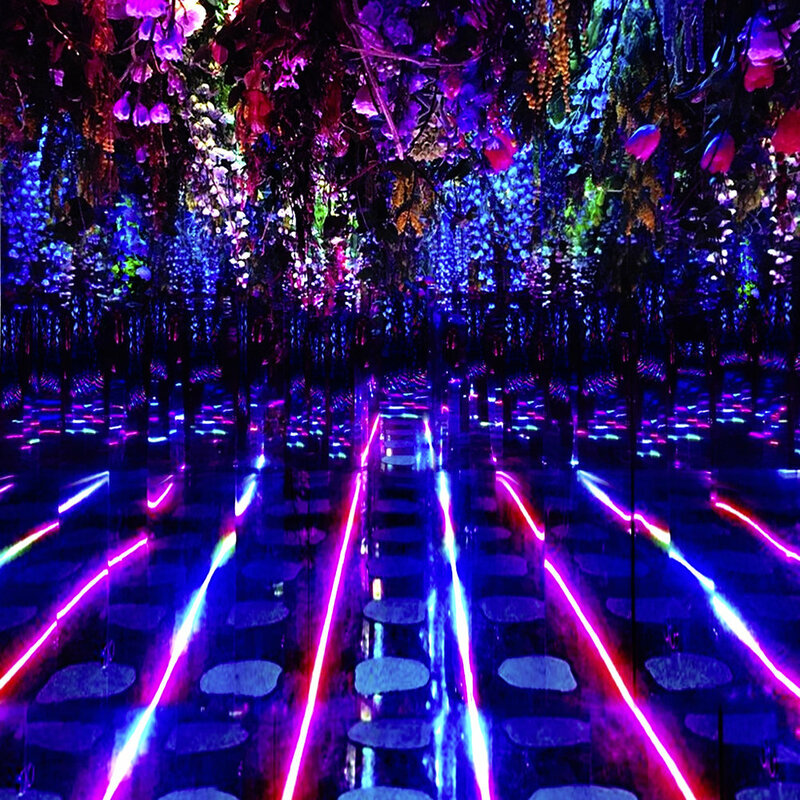 The brief was to create a magical floral filled midsummer themed event in Soho Square, where you would enter a flower covered red phone box, through a magical mirrored world and into the gin tasting room. Simultaneously, Hendrick’s branded red phone boxes decorated with flowers would appear in other cities throughout the UK. 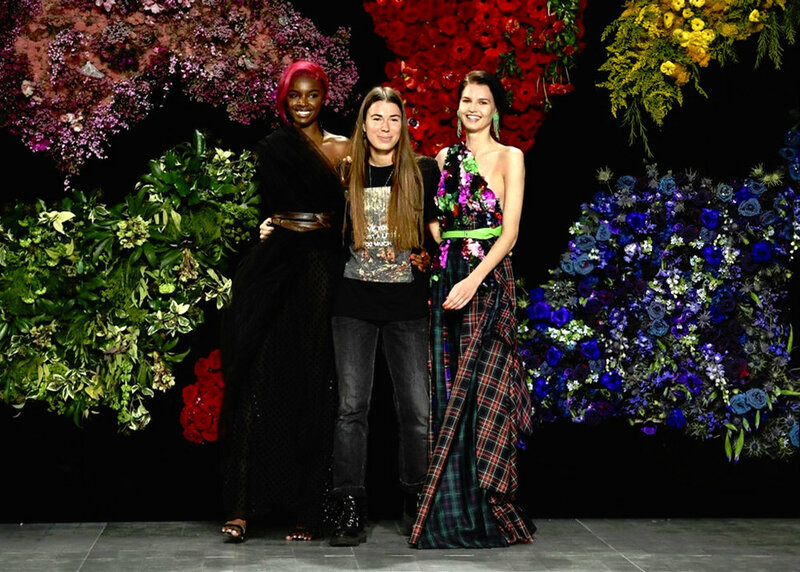 It was a logistical conundrum but for Rebel Rebel, nothing’s impossible. With the help of the staging company True, our Rebels travelled to Brighton, Liverpool, Manchester and Edinburgh to create the floral phone box installations. The final result looked fabulous and the combined event was a huge success, with Hendrick’s and their PR Company Red Communications delighted with the results (below). Yes it’s February and it’s London Fashion Week and we’ve been extremely productive. We filled Marks Club with red roses for the launch of Victoria Beckham’s new YouTube channel; a Spice Girls Drag Tribute Act setting off our rose wall to perfection! Meanwhile Burberry went for simple white roses at their after show party in Notting Hill. It was a busy Sunday! But our favourite #lfw event was the lovely Roberta Einer’s show at 180 The Strand (below). She and designer Alice Andrews gaveus creative freedom to use lots of vivid colour! Yes, it’s Olivia Colman, the queen of the screen, in front of our wall! So proud to be asked to create the red carpet backdrop for this year’s EE British Academy Film Awards, at the Royal Albert Hall. Olivia went on to win the Leading Actress award for ‘The Favourite’. She’s certainly our clear Favourite! Last year’s extremely popular ‘Crazy in Love’ bouquet was inspired by Beyoncé, and then in the summer we were asked to make a glorious hair crown to adorn ‘Queen B’ herself for the cover of the September issue of American Vogue. What lies ahead of the Rebels for 2019? Well there’s this year’s Rebel Rebel Brexit buster bouquets for starters - ‘I Got You Babe’ and ‘Groove is in the Heart’, now available to buy online. Click here for more details. We discovered that the wonderful Michelle Obama was appearing at an exclusive UK event at the Southbank Centre’s Royal Festival Hall in London’s South Bank Centre on December 3rd to promote her autobiography, ‘Becoming’ and tried to obtain tickets, but sadly failed. Then as if by magic, our friends at SBS asked us to provide the flowers for the event, so at least our flowers got to hang out with Michelle and Chiamanda Ngozi Adichie! For this year’s Christmas we added some Yuletide joy to Old Spitalfields Market, adorning the market with our giant Christmas Wreath installations. They wanted to make a statement at their entrances this year. They wanted wreaths and they wanted them to be natural. So we made pine and twig wreaths, using a variety of different pines white painted sticks and asparagus fern. We needed help to make the bases and Julian Carter was the man for the job, creating three 3 metre diameter bases and one as large as 1 x 5 metres. We reckon the 5 metre wreath is the biggest in London! New for December is the The Florist’s Companion, Rebel Rebel’s first ever gift box contains the basic essentials for floristry. Perfect as a Christmas Gift at only £45 the Florist’s Companion includes a pair of fabulous REBEL REBEL branded Japanese ‘ARS’ scissors, guttering and wire for buttonholes and hair crowns, twine for bouquets, all cosy in a bed of bun moss. For the florist who has everything. Click here to purchase from our Gift Shop. Very, very early on a Monday morning in November, we found our way down a dark alleyway behind Conduit Street and into the Glade tea room and cocktail lounge at Sketch. A truss and aluminium frame had been hung from the ceiling and we had 12 hours to cover it in mesh and then hang 200 stems of old man’s beard, 60 metres of clematis vine, 250 pampas grass, 24 boxes of Spanish moss, 150 stems of asparagus fern, 30 branches of larch and lichen, hand-picked honesty from Italy, 200 waxed apples and a great grand crown of mistletoe. And we did it!!! At first it seemed fairly easy, just reach up, tie a bit of wire and pull it tight. At the end….. crawl around on your hands and knees, try to spot an empty space, gingerly stand up as slim as a pin trying not to entwine your hair in larch twigs or razor-like asparagus fern or breathe in strands of Spanish moss, and fill the tiny bald patch with something perfect. At last we finished, about 5 minutes early and ready for a DRINK. Hard work; very hard work, but thrilled to see it complete in all its glorious beauty. More set dressing for Jess Glynne, this time we created the floral display for the giant video screens at her live concert at the O2 London. Hope the audience loved it as much as we did…. We were asked to provide a wild arch for a Batiste Dry Shampoo shoot. We created a dry arch representing the model’s dry hair being hydrated with the shampoo. Luckily it was hop time; we used dry hops for the dry section and zingy fresh green hops and pink dahlias for the live section. It is with great pleasure that we announce our floral coronation of Queen B on the cover of US Vogue’s September issue. Having worked with US Vogue earlier this year – Paul Hanlon hair stylist asked us to recreate a Rodarte runway show gypsophila headpiece for Kendall Jenner - we were thrilled and slightly dizzy to be asked to collaborate once again with the Vogue creative team to design a floral crown fit for Beyoncé herself. Based on the original visions of Fashion Director Tonne Goodman and photographer Tyler Mitchell we were given an incredible opportunity to collaborate with some of the very finest talent in the fashion world. The whole experience was one of the most creatively fulfilling experiences of our career as florists, and we were actively encouraged to bring our own style to the shoot. We arrived with our florist’s van laden down with peonies and garden roses, amaranthus, sweet peas, achillea, blushing bride and anthurium, peppercorns and geranium. With ideas, energy and support from the whole team we were emboldened to create a generous and glorious crown for a Queen and we loved every minute of it! Everyone from Beyoncé and Vogue’s established teams, to new talent (and indeed ourselves) were made to feel welcome and central to the creative process. We were invited to sit in and contribute to the shoots, standing by with additional flowers in narrow corridors and vast and beautiful gardens. It was both incredibly professional and like spending the day with family and friends - occasionally little girls skipped past in front of the camera – it was an unforgettable and intimate experience. Thanks to our colleagues Phil John Perry and Jameka Herman. Phil’s incredible off the cuff, palm and peppercorn verdant headpiece contrasted perfectly with the other soft and abundant flower extravaganza. We could not have done it without Sir John, Neal Farinah, Nakia Collins, Kwasi Fordjour, and of course Tyler and Tonne.